Why are we worried about health care costs? 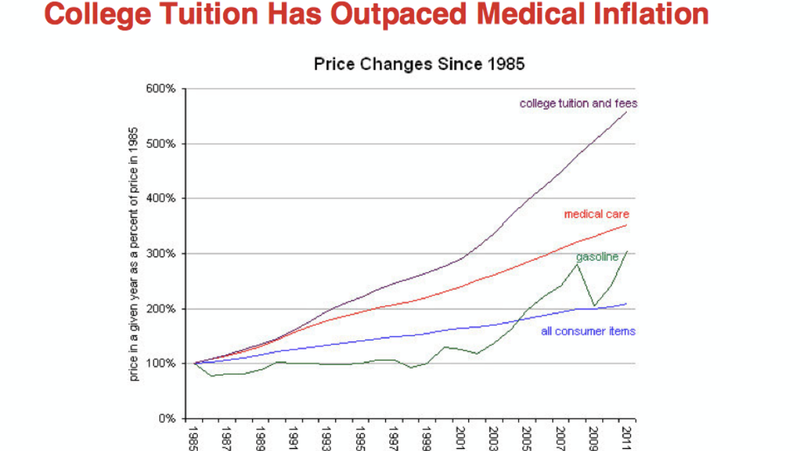 Did you know that rising college costs outpace health care by a considerable margin? Not to worry though, the progressive experts have the same solutions; make college free and forgive existing loans. I don’t know why we think this is all so complicated. Progressive politicians have all the answers; simply ignore the causes of a problem and throw money at the symptoms.